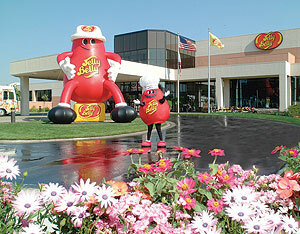 The Jelly Belly Visitor Center is the only place where you can see famous Jelly Belly® jelly beans being made. Each year, nearly 500,000 visitors learn how the famed Jelly Belly jelly bean got its name, why it takes up to 14 days to make, and what happens to the billions of beans the company produces each year. Stop by any day from 9 a.m. to 4 p.m. to learn the secrets behind the company’s world-famous candy making on the updated factory tour. Enjoy this complimentary, self-guided trip around a working candy factory as you observe candy-making operations on the floor below from the refreshed elevated tour corridor. Watch HD/4K videos that guide you through a Jelly Belly jelly bean’s journey and offer a close-up look at the activities that take place throughout the facility. An area of the factory previously not included in the tour is now open to the public once more, and historic candy making equipment and tools are also on display in special sections. Experience interactive games and colorful exhibits along the way, then finish off the tour with some samples of Jelly Belly beans and other confections at the Sample Bar. There is a lot to explore at Jelly Belly. At the Chocolate Shoppe, watch as candy makers create treats ranging from fudge to hand-dipped chocolates. Grab a bite to eat at the Jelly Belly Café, serving a broad menu that includes pizzas and hamburgers made in the iconic Jelly Belly shape. Check out the Bean Art Gallery to see candy masterpieces. Don’t forget to stop in the store to pick up some sweets for the ride home. Additionally, the Chocolate and Wine Experience is a must for adults. Featuring local wines from surrounding Suisun Valley paired with indulgent chocolates made onsite, unwind from the hustle and bustle of the Visitor Center and explore a different land of flavor. Six thoughtfully curated flights of whites and reds paired with delicious chocolates is $20 per person, and each participant will receive a Jelly Belly wine glass. A non-alcoholic version is also available for $13 per person and includes five chocolates. Nestled away upstairs in the Very Cherry Room, the Chocolate and Wine Experience is available 11 a.m. to 4 p.m. daily. No reservations needed. Visit Jelly Belly Candy Company at, One Jelly Belly Lane, Fairfield, California. Free, no reservations required, wheel chair accessible.Tours are Monday - Sunday 9 am to 4pm. 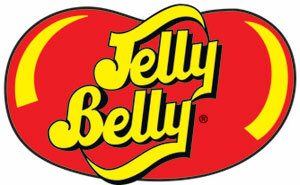 Call 1-800 953-5592 or visit online at www.jellybelly.com..